Holy Trinity Primary School Environmental Garden: "Wise men speak because they have something to say..
"Wise men speak because they have something to say..
whereas fools speak because they have to say something"
Garden group members continued over the weekend to tidy up and make good ready for the forthcoming NGS open days. Monies taken by gardens open to the NGS helps change lives with large amounts of money going to cancer charities, carers trusts and hospices. The hanging baskets are also doing well. Again the begonia corms were lifted and split earlier this year and re-used for a second time. The plants are bigger with larger flowers. A well used mud kitchen- very popular with the children! Finally our friendly Robin continues to follow us around the garden on the ever lookout for something to eat. It is very tame and will stand close to the trowel or fork. The bird is beginning to moult now as the breeding season is over and is looking a little scruffy! 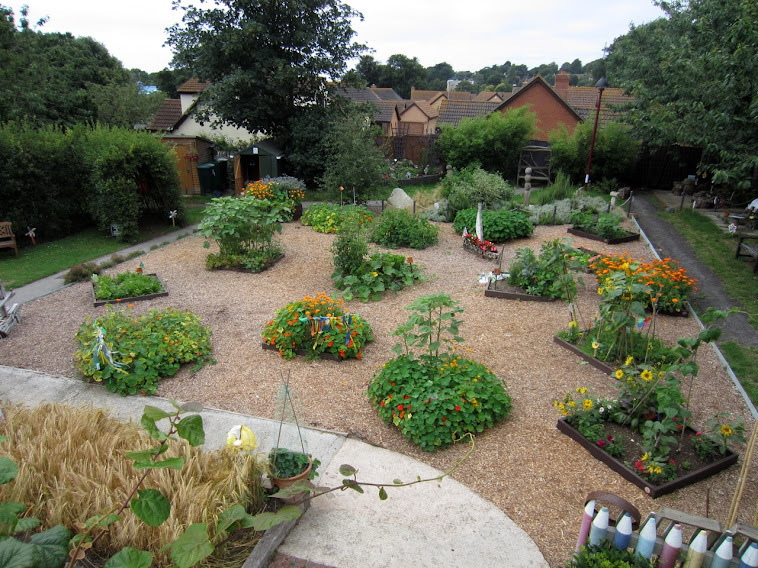 The school garden is open this coming weekend. Saturday July 22nd and Sunday July 23rd from 13.00 to 17.00. Teas and refreshments are to be served next door by our good friends at Gracewell. The garden group look forward to seeing you and showing you around the garden. Can you tell me what kind of tool I should used for my garden. How to Create a Simple Topiary Tree?